So as many of you may know I have a few different auto watering set ups on my growing rack. Since I am going to be waking up my sleepy traps soon I'm debating whether or not I should put them into my 'rainforest' (top watering system, like a rainmaker), or put them into my flood and drain 'swamp' garden. -Both systems enable oxygen to get to the roots. The rain forest brings oxygen down when watering, and the flood and drains pulls oxygen to the roots when the table drains (theoretically). -The rainforest wins this category hands down. Since the flood waters only go up about 3 inches on the pot it wont necessarily periodically flush out the potting mix. -The flood and drain system increases humidity within the growing area because the table stays flooded for 30 min 6 times daily. This also leads to water loss through evaporation. -My rainforest set up in extremely full due to my addiction to nepenthes I have plenty of room for traps in my bog garden though. I bottom water, with the occassional top water for purposes of flushing the soil. I vote for the tray method. I would have reservations about watering the top of the VFT that often, especially on plants grown indoors. I hear keeping the crown too wet can lead to fungal issues. In my experience top watering is fine when you're doing it once a day or less, but 7 times a day may keep them too wet. 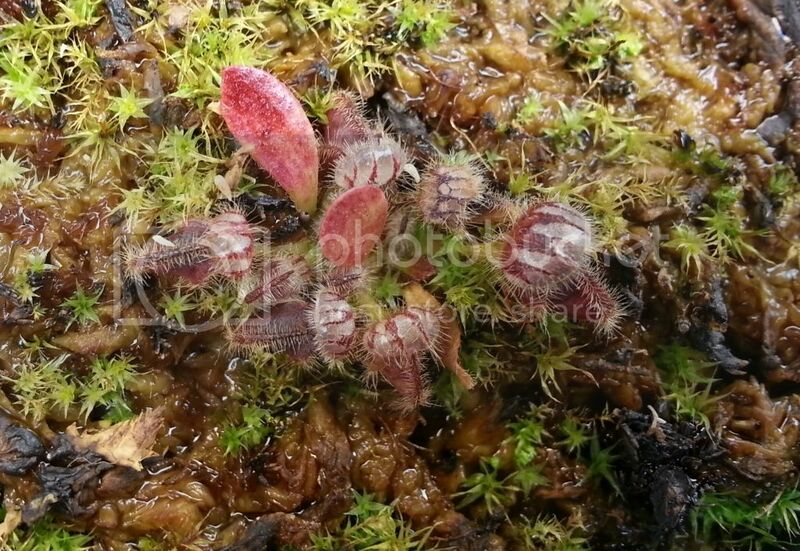 Plus there is the humidity issue, VFT's really arent' high humidity plants like Neps and Helis. As for flushing the soil, you really only need to do that occasionally unless your water is on the higher TDS side. I would think putting them in the bog and just top watering the soil manually every few weeks should be adequate to remove any build up. And, there is the space issue you mention plus your Nep addiction. If you put too many plants in the rain forest that don't require it you're taking away space that could go to future purchases. You have quite an impressive system set-up. It's pretty awesome. My water usually hovers around 20 PPM, I drain and clean the entire system monthly. Im going to go with the tray method I just wanted to see if anyone else had tried top watering and had success. top watering will lead to more alge growth and they do not need the humidity it generates. It would save a load of future issues to just tray water them and if thats where you have the most space its a result!! I always tray water, with the exception of my Nepenthes. I use both. I top water my sarra and flytraps in the winter and don't have any problem with algae. during the summer I use the tray method since its so hot and water evaporates quickly. I don't want the media to dry out so keeping a reservoir of water keeps the soil from drying out and as the water evaporates from the soil it will pull fresh water up through the soil giving a good gas exchange to the roots. I also always top water my ceph, us the tray method with my dews and top water my Nepenthes. I top water all my CPs (except sundews). The only time I use the tray method is to supplement my watering when it is very hot out. I have not had any algae or mold problems since starting this hobby. That's the other thing I don't have any algae problems in either of my set ups like I thought I would. I wasn't really worried about algae anyways. That would be a nice system. I use trays for everything, but when I need to add water I do so by top watering. So I guess you could say I do both. As for the problems with not watering the crown of the VFT, that's just what I've heard. All my plants grow outside and I've poured directly on the plant and even flooded the pots and have never had a problem. So I don't know if it's an issue unique to inside plants or if it's just an over blown concern. My thought is that the natural way for a lot of the temperate plants is to have the water come from bellow, like it would with a high water table. And then occasionally top water to mimic rainfall and flush the pots. If you could do both where it was a tray method and top watered maybe weekly during the spring/summer and once or twice a month in the winter that would be pretty cool. Same here as cyph3r_gfy and some others. I tray water with the occasional top water. With your rain system, I think triggering the traps is a valid concern cause it has some pretty heavy drops coming down and they might all be shut all the time. 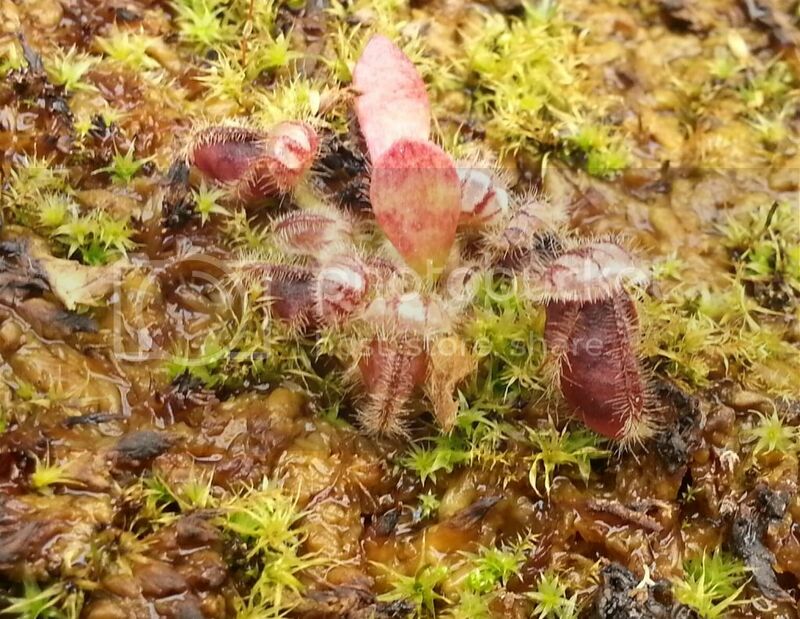 How about cephalotus? I have mine currently in the flood table. I really think this it needs a repot. It is in a 3 inch pot in all sphagnum. I think it's staying too wet. I see new pitchers coming in but it's growing REALLY slow! I know these cephs are notorious for being slow, but even my heli seems to be out growing it.